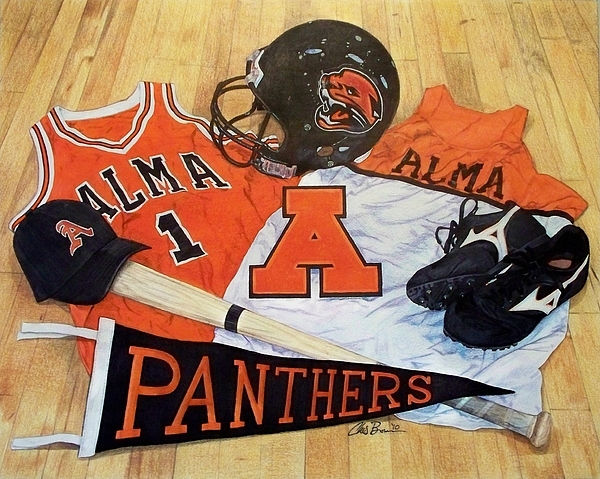 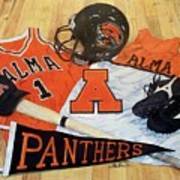 This drawing depicts classic Alma High School Athletics memorabilia including a football helmet, basketball and track jerseys, a baseball cap and bat, running spikes, a varsity letter, and an Alma Panthers pennant. 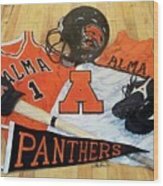 I have been drawing as long as I can remember and I have always had a passion for drawing sports figures. 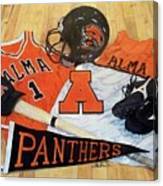 Most of my art work has been created using markers and colored pencils. 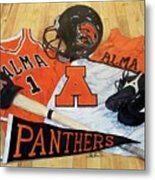 Recently I have begun to experiment with photography, particularly with taking photos of interesting landmarks and places from where I grew up.